Monster movies generally don’t surprise. Think King Kong. Think Godzilla. Colossal surprises until a very predictable ending. 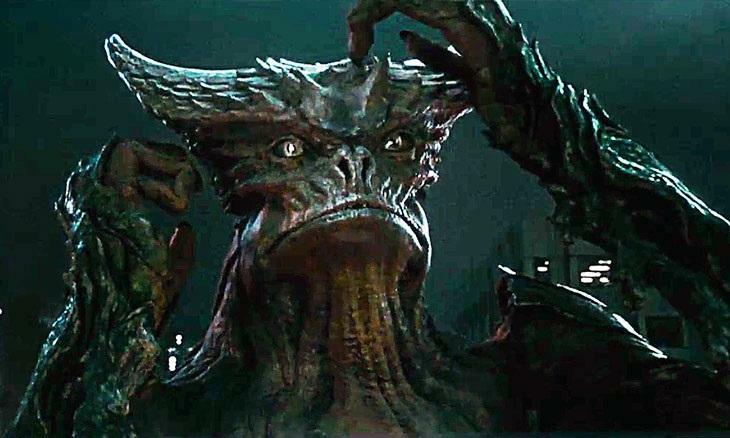 The plot of a Godzilla-like monster on the loose in South Korea mimicking an unemployed alcoholic New York woman comes from Spanish writer-director Nacho Vigalondo. Gloria, played by the ever-likable Anne Hathaway, drinks away her sorrows of being fired from her job at an online magazine and thrown onto the kerb by her boyfriend (played by Dan Stevens). 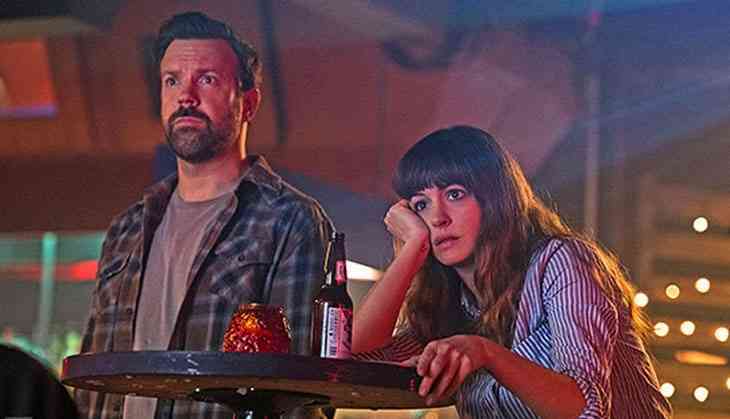 Moving into her old house in upstate New York, Gloria runs into Oscar (played by Jason Sudeikis), an old friend of hers, and starts working as a waitress at his bar. A few days into her ‘break’ at her old home, news breaks of a giant lizard monster running amok in Seoul, South Korea and terrorising its citizens. It isn’t the first time though. The monsters had appeared once, 25 years ago, and disappeared just as quickly. Despite the drunken mood Gloria’s seemingly always in, she has a brain wave. While watching the news in the house she noticed something very strange about the monster’s movements. They mimic her movements. Gloria soon realises that she is the monster frightening Seoul residents. There’s a lot more to the story though. When Gloria realises that the moment the monster appears and destroys Seoul coincides with her boozy-early morning wanderings, she has to confront her worst side. The fact that she’s ‘killing’ people and not on the ‘road to recovery’ as she hoped her move back home would help with. Colossal is terrifying, sad and hilarious at times. This movie transcends many different genres. It’s part thriller, part tragedy, part comedy. It’s a movie where you’re kept guessing as to what is coming in the next scene, especially during the second half. Having watched enough movies though, the one scene that didn’t jump out and surprise was the ending and that is a shame. A large part of the credit for keeping the suspense on the toes goes to Hathaway – her best acting since The Devil Wears Prada – handling alcoholism, denial, bullying, making Gloria a likable character despite her pitfalls and Sudeikis, who doesn’t disappoint, giving what could be in the top three roles of his acting career. It’s indeed a wonder that the movie works as well as it does, flowing smoothly from scene to scene, with an intense music score from Bear McCreary to back it up and some very good sunlit cinematography work by Eric Kress. The movie will surely be remembered for its bizarre script above all. It pushes the boundaries and largely works. Vigalondo manages to pull emotion and poignancy from the story as he does in the terror and destruction of Seoul. Enter the hall for the quirkiness of the script and leave with two brilliant performances, and a giant monster.